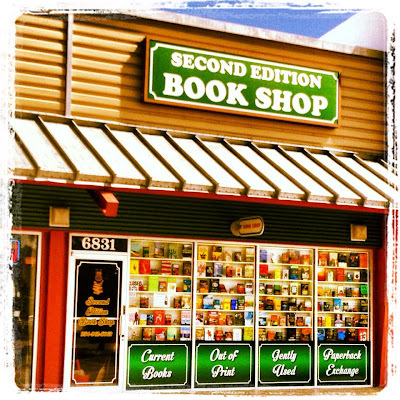 Award-Winning Second Edition Book Shop in a New Space! I like to think of myself as a connoisseur of bookstores. From the heaven that is Portland's Powell's City of Books to San Francisco's sprawling Green Apple Books, one of the biggest delights of travel is exploring new bookstores. The dreams of readers are expansive - never limited to time and space. But in order to visit my favorite bookstore, I never have to travel far. Second Edition Book Shop in my home of South Florida has had my heart for the last decade. During my stint writing travel articles for the green bed and breakfast TheDesoto.com, I wrote about Second Edition Book Shop so frequently that my editors politely asked me if I couldn't find something else to write about. Ok, ok, so I'm a fangirl of Second Edition Book Shop. But I'm not the only one who loves SEBS. The little green bookstore that could won the 2013 Local 10 Best of South Florida Award for Best Bookstore and it also won Best Bookstore for the South Florida New Times. One of the things I've always loved about SEBS is how clean and well-maintained it is. It used to be that the term "secondhand" bookstore conjured up images of dusty, moth eaten, heat-bleached books in an overcrowded space. Second Edition is the antithesis of that image: a clean, cozy, well-maintained "dream of a bookstore" with gleaming wooden floors, cozy nooks to read in, and well-stocked and organized shelves of thousands of books - approximately 70,000 at last count. I got lost among the readers. The store was bustling this morning: kids and their moms, small business owners, and entire families came out to browse the books and take home their favorites. Every now and again I'd hear a woman laugh to herself as she found a book she'd been searching for. Kids stood on chairs to reach their favorites, shouting "Mom! Look what I found!" A clown painted the kids' faces and Danielle greeted old and new friends, hugged readers, and rang up customers. But this morning, I wasn't just looking for books; I was looking for my chair. When my mother Debby passed away from cancer in 2007, I couldn't bring myself to part with her quirky, animal print, oversized armchair right away. I held onto it for six years, remembering how mom used to curl up in it and read, or sit in it to have a mother-daughter conversation with me. But, I knew in my heart that the time had come to find it a new home. And so over the summer, I provided Danielle with mom's animal print chair. It's a little weird, but comfortable, just like my mom was. And when I found the chair this morning in the supernatural/romance section, I got a little misty-eyed even as I grinned to myself. Mom was a fan of all things unexplained and romantic and I know wherever she is, that she approves of the section. Second Edition is like "Cheers" for the bibliophile: where owner Danielle remembers your name and what you read. It's a connection point, not only for readers, but also for small businesses and new people waiting to become old friends. When I was a kid, I remember watching old movies where the people of a small town would gather for a smoke or a chat on the front steps of the General Store. They'd sit there for hours, chatting about their families. The men might argue over politics and the women might trade recipes (or vice versa). SEBS offers South Florida that same sense of community. In the old store, it wasn't unusual to see a few SEBS "regulars" sitting in the leather bound armchairs by the cash register, chatting about books, what they just read, what I should avoid, and how proud they were of their kids or grand kids. I imagine the same thing will happen at the new store. 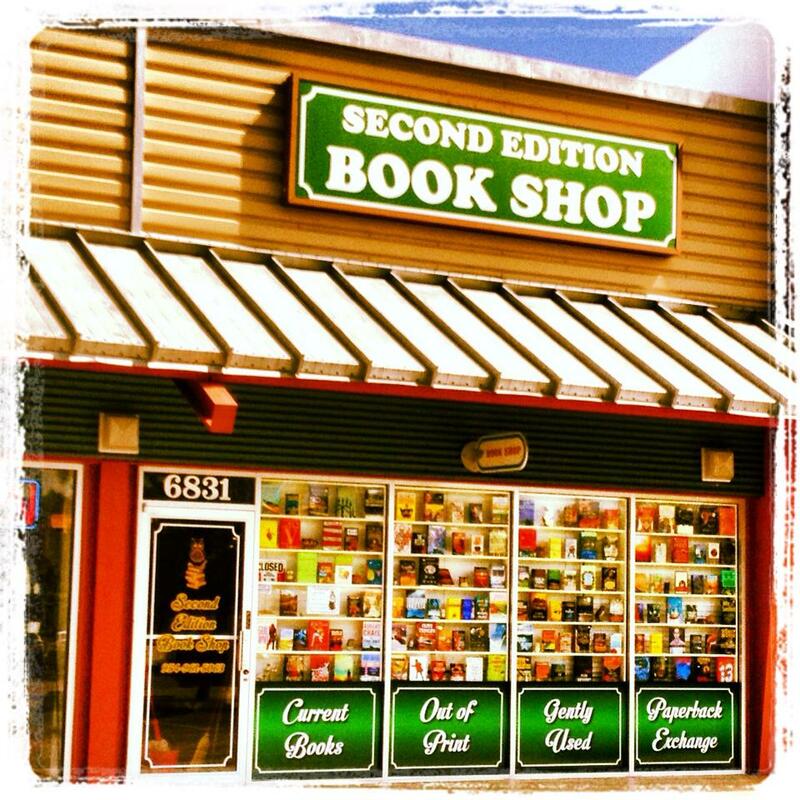 Second Edition Book Shop is located at 6831 Stirling Road, Davie, FL, 33314. Please visit them on Facebook or call 954-961-5063 for more info.